Places Covered: Delhi - Hyderabad - Bangalore - Mysore - Shrawanabelgoa - Belur - Halebid - Cochin - Kumarakom - Thekkady - Madurai - Tanjore - Chennai (Madras) - Mahabalipuram - Chennai. Arrive in India's capital city, where you are greeted with a traditional Indian welcome and escorted to the hotel. Old and New Delhi offer a stunning contrast between the ancient and, modern. Overnight stay in hotel. 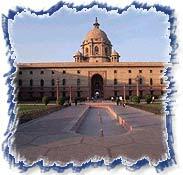 Today, leave for Delhi sight-seeing tour, which includes Jama Masjid -the largest mosque of Emperor Shahjahan. Later to proceed Red Fort, Raj Ghat -Cremation site of Mahatma Gandhi, to India Gate - a 42 meter stone arch built in the memory of the Indian Soldiers who died in World War II, Drive past the President's House & Parliament House, Humayun's Tomb - a memorial of the Mughals -its design is inspired by the Taj Mahal, the Qutab Minar, Birla Mandir and Lotus Temple. Overnight stay in Hotel. This morning's flight (about 2 Hrs) takes you to the former princely state of Hyderabad, the Indian subcontinent's richest and largest state at the time of independence, now the capital of Andhra Pradesh. Your city tour reveals an amalgam of old world charm together with the ebullience of modern growth. 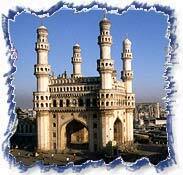 Char Minar -the city's landmark, has four minarets built in the 16th Century. Mecca Masjid is an impressive 17th-Century mosque built of granite. Birla Temple, the library and the university all display the grandeurs of modern-day India. Salar Jung Museum houses an extraordinary collection including rare fine-art objects of the Nizam, once the wealthiest man in the world. Overnight at Hotel. The ancient fort of Golconda is the former capital of the Qutab Shahi dynasty. Originally a mud structure, it grew into a magnificent fortress citadel. It is known for the use of acoustics in its architectural design - sound signals could be passed from the gates to the top of the fort without the use of modern equipment. Tombs of the dynasty rulers are situated nearby, set in manicured gardens. Afternoon at leisure. Overnight in Hotel. Fly to Bangalore (1 hr), one of the most beautiful cities of India. Tour the "Garden City," including a visit to Lal Bagh Botanical Gardens, the Mysore Arts and Crafts Center, the bull temple, and the colorful and bustling markets. From Bangalore, drive to Mysore ( 140 kms / 4 hrs.) wending along through verdant and hilly countryside, stop at Srirangapatnam, where the legendary warrior Tipu Sultan built the island fortress and Summer Palace entirely of wood, with exquisitely painted walls. Tonight view the illuminated City Palace. Mysore is a beautiful city of stately palaces, gardens, parks and museums. Your tour includes visits to City Palace; Nandi (Shiva's Bull) -a huge monolithic image always garlanded with flowers; and the colorful and aromatic spice markets. Your afternoon is at leisure. This evening, enjoy the beautiful and exquisitely illuminated Brindavan Gardens, sprawling amid gorgeous cascading fountains. Overnight in Hotel. Morning drive to Shravanabelgoa (120 kms / 3 hrs drive). This is one of the most important Jain pilgrim centre, here visit the 17 meter high monolith of Lord Bahubali. Later drive to Belur which is approx. 45 kms from here and is located at river Yagchi. This place was once the capital of the Hoysala Empire. Here visit the Chennakeshava Temple (one of the finest examples of Hoysala architecture) & Veeranarayana Temple (which has exquisite carvings of various Hindu Gods). Later visit Halebid (16 kms form Belur), the ancient capital of Hoysalas, here visit the Hoysleswara Temple. Later in the afternoon leave for Bangalore which is approx. 220 kms from here. On arrival in Bangalore check into your hotel. Overnight at hotel. Fly to Cochin (about 1 hr) in the state of Kerala. Apart from being the most progressive state in the nation, Kerala is also known for its numerous canals and waterways and its verdant forests and mangrove swamps. Cochin is a city of waterways with a varied history. Notable here is the Jewish population, arriving over 2,000 years ago and maintaining a strong community ever since. Hungry for spices, the Portuguese, Dutch and British all left their mark on this scenic seaport. After an afternoon of leisure, enjoy a special presentation of the colorfully costumed Kathakali dance drama. Overnight in hotel. Your tour of Cochin this morning includes a visit to the Portuguese church built by St. Francis in 1562, the Jewish Synagogue and the famed Mattancherry Palace. This afternoon enjoy a boat ride through the series of canals and lagoons snaking their way through several tiny villages and tropical vegetation. Cochin is linked with Ernakulum and the rest of the state of Kerala through the "backwaters." Stop en route to see fishermen and their villages, Chinese fishing nets and the beautiful Dutch palace at Bolghatty. Overnight in hotel. Drive to Kumarakom (80 kms / 2 hrs)experiencing the rich culture and active lifestyle that has evolved over the centuries in and around the backwaters and waterways that thread this region. Set in one of the most idyllic locations in Kerala, Kumarakom is a tiny settlement, nestled in the backwaters and evoking images of Kashmir. Your afternoon is at leisure. Perhaps take advantage of the rich waters with a bit of fishing, or just. Overnight in hotel. Take a boat ride on Vembanad lake to the Kumarakom Bird Sanctuary. Part of the forest is submerged in the lake, offering an irresistible habitat to both migratory and local birds. Water fowl, cormorants, egrets and teals are seen in abundance. This afternoon experience an Ayurvedic therapeutic massage, indigenous to this region, which is both relaxing and healing. Your exploration of south India continues as you travel to Thekkady (145 km / 4.30 hrs) located on the Tamil Nadu / Kerala border. This unique wildlife sanctuary is about 300 square miles and centered around an artificial lake fed by the Periyar River. Game viewing this afternoon is onboard boats which carry you along convoluted waterways and afford sightings of elephant, bison, deer and occasionally, tiger. All manner of flora and fauna flourish in this tropical habitat, making it one of premiere reserves of Southern India. Overnight stay in hotel. Venture on a game viewing, cruise this morning before continuing on to Madurai (140 kms / 4hrs ) a bustling city packed with pilgrims, bullock carts and legions of rickshaw wallahs. Its narrow overcrowded streets seem to be bursting at the seams with activity. This is Southern India's oldest center of pilgrimage and learning. Visit Shree Meenakshi Temple, a riotously baroque example of Dravidian architecture. Your next two stops are Thirumalai Nayak Palace -built in 1636 in Indo-Saracenic style, and the Gandhi Museum -containing memorabilia of the father of the nation. Continue to Mariamman Teppakkulam Tank, site of the Teppam or Float festival in January each year. Built in 1646, the tank is fed by underground channels from the Vaigai River. Overnight stay in hotel. Travel to Tanjore, ancient capital of the Chola Kings, whose patronage and philanthropy rendered. Tanjore a veritable haven for artists, musicians and craftsmen. 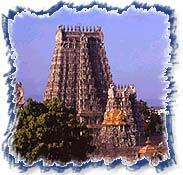 The golden age of Dravidian culture is exemplified in Brihadeshwara Temple, built in the 10th Century. The dome on the apex of the central tower, 206 feet tall, is a single piece of granite weighing an estimated 81 tons, which was put in place using a ramp 3 miles long, similar to the technique used in building the Pyramids of Egypt. Evening transfer to Railway Station to connect overnight transfer for Chennai. Arrive Chennai (formerly Madras), the fourth largest city in India, located on the warm shores of the Bay of Bengal. Modern Chennai traces its origins to 1639, when the British East India Company was first awarded a trading post and commenced building Fort St. George. Afternoon excursion to Mahabalipuram (40 kms/ 1 hrs).Visit the ancient Pallavan port of Mamallapuram and its 7th Century rock-hewn monuments, including a massive bas-relief carved on a cliff face. Overnight in hotel. 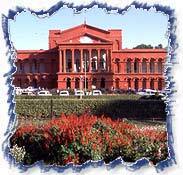 Morning tour of Chennai takes you to Victoria Art Gallery, Bronze Gallery and Chennai Museum. Drive through Egmore to Georgetown stopping at Fort St. George, housing the State Parliament. Located within the ramparts of the fort is St. Mary's Church, the oldest Anglican church in Asia, consecrated in 1680. The fort museum features relics of the Raj. Drive along Marina Beach, visiting San Thome Cathedral, where lie the mortal remains of St. Thomas, Christ's apostle and the earliest Christian missionary in Asia. Your final stop is colorful Kapaleeswarar Temple, devoted to Lord Shiva, where you have an opportunity to mingle with the devotees and observe the various rituals of Hinduism. Overnight in hotel. Day 17 : Chennai - Tour Ends. Transfer to airport to connect Flight for home (hotel checkout 12 : 00 Hrs).